Guests test their hockey skills against a live hockey goalie. 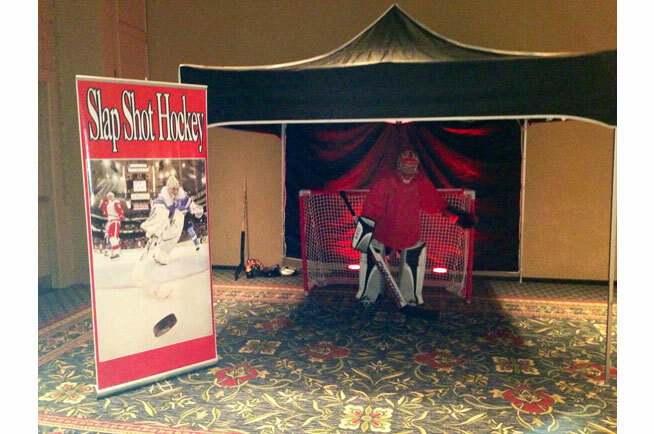 Includes live uniformed goalie, referee, 10x10 goalie arena, light and prizes. 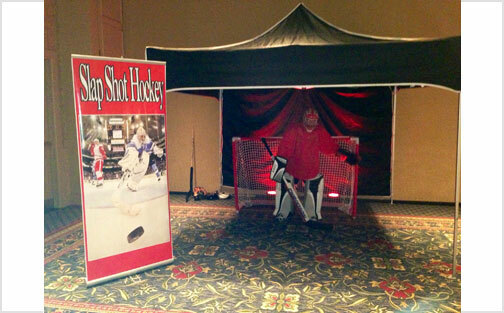 Guests test their hockey skills against a live hockey goalie. 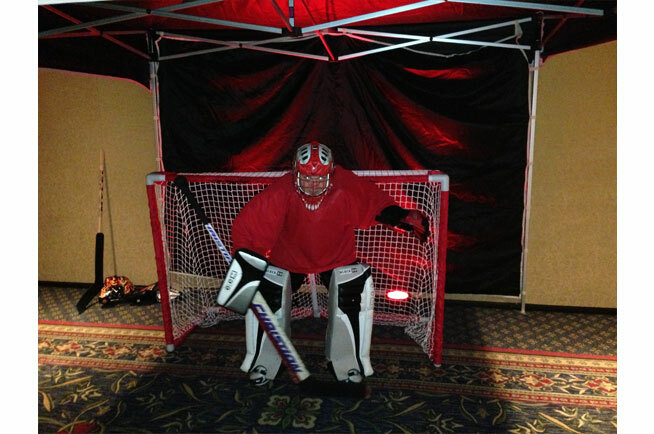 Includes live uniformed goalie, referee, 10×10 goalie arena, light and prizes.